Digital currencies represent an entirely new asset class. Just like stocks, bonds, and mutual funds, digital currencies now hold their own place in the global investing market. But despite the excitement in recent years over the birth of this new class of assets, many people still don’t fully understand what digital currencies actually are. Although different digital currencies vary slightly from one to another, they all share a few common characteristics. Try as they might, no governments, central banks, or any other third-party entities can control digital currencies, nor can they dictate how digital currencies are used. This gives users a level of freedom and autonomy that other assets simply can’t allow. Digital currencies can be exchanged without third-party mediation from any bank or financial organization. By circumventing the limitations of our traditional financial system, digital currencies give users the ability to transfer funds at astonishing speed with miniscule transaction costs. The cryptographic protocol behind all digital currencies keeps users’ personal information obscured through multiple layers of encryption. As a result, your activities in digital currency markets always remain private and anonymous. As we said, no centralized organization has power over digital currencies, including their supply and creation. Instead, digital currencies use adaptive scaling to control the rate at which new units of currency enter the overall supply. Essentially, that means each digital currency network automatically makes it more difficult for new units of the currency to be “mined” as the currency supply grows — an elegant solution to control inflation and prevent manipulation. Some digital currencies, such as Bitcoin, even have a built-in hard cap on how many units can ever exist. All digital currency transactions are recorded and confirmed on the “public ledger” of the currency’s blockchain network. Every user has their own copy of the ledger, and it’s automatically updated as transactions occur. For a new transaction to be confirmed, it must be validated by multiple users on the network (known as “miners”), and checked against their individual copies of the public ledger. This transparent accountability system makes digital currencies self-regulating and eliminates the chance of fraudulent activity, without any enforcement from external entities. The foundation of every digital currency is its blockchain network. These individual blockchain networks are built using the Blockchain software protocol released by the creators of Bitcoin. When you own Bitcoin, Ethereum, or another digital currency, what you possess are “value tokens” of the digital currency in question. These are the unique electronic objects exchanged between users when a transaction takes place. Indestructible – Once a value token is created and added to the network, it cannot be deleted or destroyed. Non-duplicable – Each value token represents a unique cryptographic pattern that is impossible to counterfeit or duplicate. Uniform – All value tokens are equal in size and value. All digital currencies have special users called “miners.” These users offer the processing resources of their computers to aid in running the currency’s network. In exchange, they are rewarded with new value tokens of the currency. If you’d like to learn more, see our in-depth explanation of how digital currencies work here. Digital currencies combine many of the benefits of tangible “real assets,” but without any of the physical restrictions. That said, investors now view digital currencies as a valuable diversification asset with advantages for any portfolio. 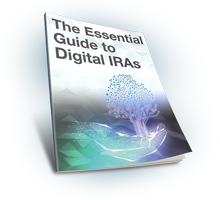 And Digital IRAs are the number one tool for integrating that asset into your nest egg. For more information on how BitIRA is helping Americans leverage the benefits of digital currencies within their retirement savings, and how you can do the same, contact us today. Whether you’re ready to open your Digital IRA now or you’re simply exploring the opportunities in today’s market, one of our Digital Currency Specialists will explain everything you need to know, and remain available to answer any questions you many have.